Could you be one of the 47.2 percent of American adults age 30 years and older with some form of gum, or periodontal, disease? The Centers for Disease Control and Prevention reports that gum disease is more common in men than women, and if you’re 65 or older, your chances increase to over 70 percent. The main culprit behind gum disease is the bacteria found in the sticky film, or plaque, that accumulates between your teeth and gums. Excessive plaque can build up and harden, forming tartar. 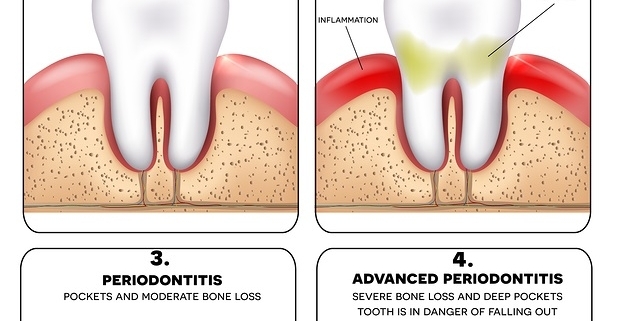 If left unattended, the tissue that supports your teeth becomes inflamed and infected. As the inflammation progresses, mouth tissue and bone can be severely damaged, leaving your teeth unsupported and often loose — or even lost. It’s important to seek dental treatment at the first sign of gum infection to ensure the healthy life of your teeth and the surrounding bone structure. 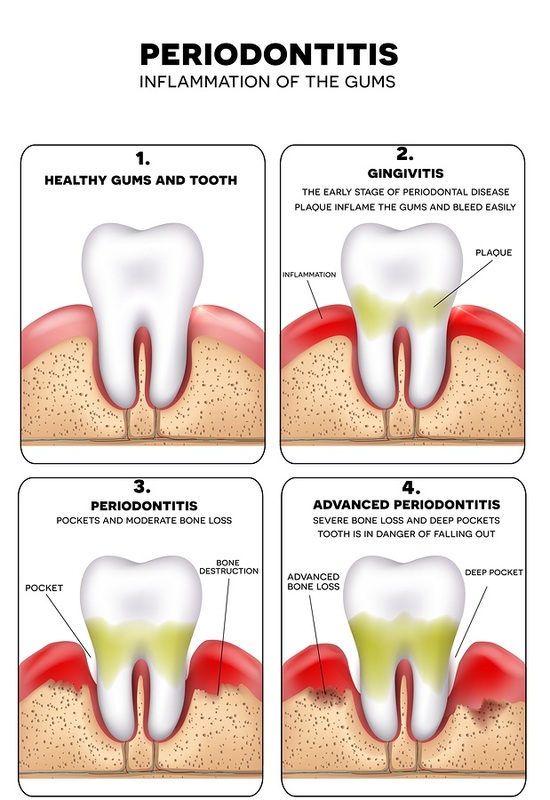 Medical research indicates that there is a strong connection between gum disease and other chronic diseases and health conditions. It is believed that inflammation in the mouth is directly linked to the inflammation behind heart disease, stroke, cancer, and diabetes. Gum disease increases the risk of heart disease, and it also may worsen existing heart conditions. It raises the blood sugar in diabetics, putting them at greater risk for complications. Studies have found that men with gum disease are 54 percent more likely to develop pancreatic cancer, 49 percent more likely to develop kidney cancer, and 30 percent more likely to develop blood cancers. Gum disease is also linked to respiratory disease: the bacteria in the mouth can be drawn into the lungs and cause pneumonia. Can I prevent gum disease with care and treatment? Brush after each meal and every snack with a fluoride toothpaste. Floss every day to remove the food and plaque between your teeth that your toothbrush misses. Lower stress. It’s a known risk factor for gum disease. Quit smoking. Tobacco use is strongly associated with the development and progression of gum disease. The best insurance against gum disease is to schedule an appointment with your dentist once or twice a year for regular check-ups and thorough cleanings.